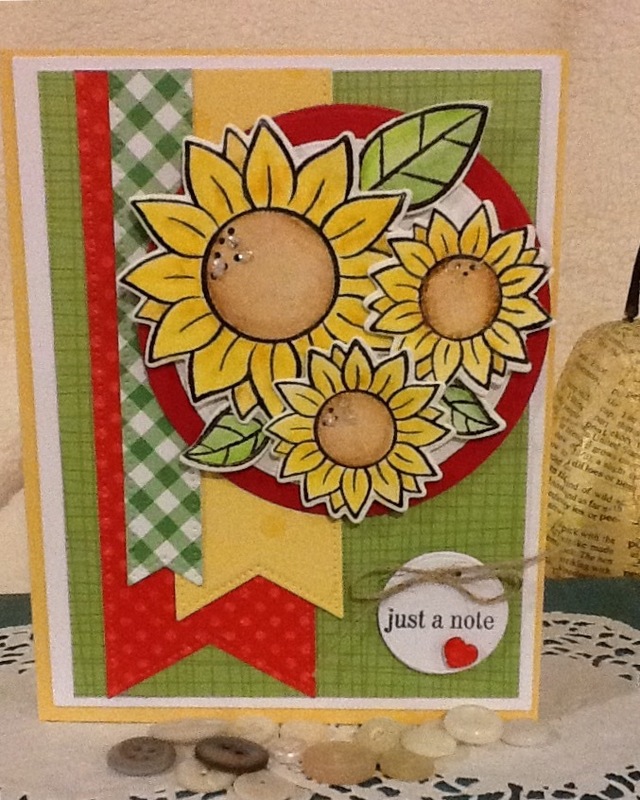 Triple Die Cut Sunflowers and Accent Banners! A new weekly challenge for Lawnscaping blogspot that is all about water coloring. So I pulled out my box of watercolor pencils, a Lawn Fawn stamp and die cut set and lots of paper scraps. I looked for a interesting card sketch layout and set to work! A little tag and a glossy tiny heart accent completes the card. I love it! Matching stamp and die cut set from Lawn Fawn.